The Awards Evening is due to be held on Friday 7th September 2018 at the Cornmill Suite for the annual Waltham Abbey In Bloom Competition. With twelve categories, the competition includes the best front garden, town garden, colourful public house, hanging basket, and even the best allotment. 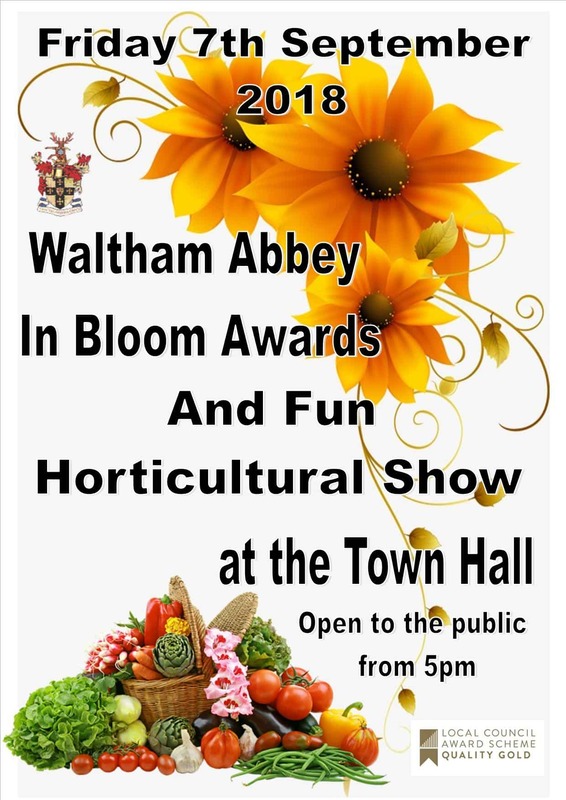 Nominations are made from members of the public, and then the Mayor of Waltham Abbey Town Council judges the competition and awards the prizes.